Sometimes the judicial use of herbicide is unavoidable. 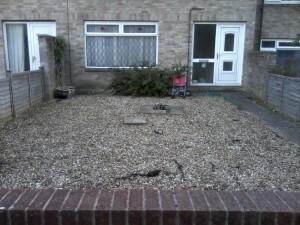 Here is an example of a rented property with a gravel garden. The clearance is dramatic. 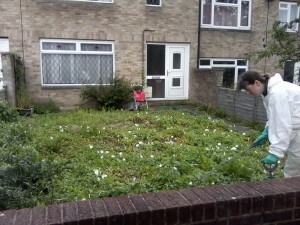 Many of the weeds were invasive and would have survived digging. We are fully qualified and licenced to spray pesticides. 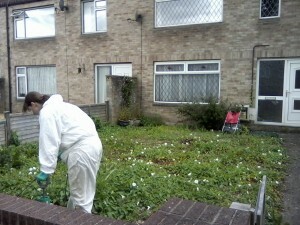 We have access to more effective products than are commercially available and always work to high standards of safety.